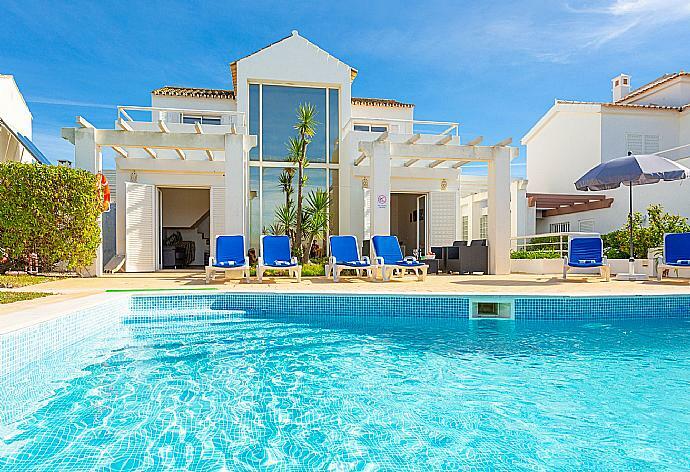 Villa Coelho is located in Albufeira, Algarve. This vacation rental property is air-conditioned and sleeps up to 6 people with 3 bedrooms, 4 bathrooms along with private swimming pool. The property is walking distance to the beach. On the ground floor is a double bedroom with en suite and air conditioning, 2 twin bedrooms , 1 with en suite (both with air conditioning) and a bathroom with bath and overhead shower. On the first floor is a lounge, dining area, kitchen and separate W/C. The living room has sofas, WiFi Internet, Satellite TV and DVD player. Bedroom 2 is air conditioned with 2 single beds. En suite bathroom. Villa Coelho can sleep up to 6 people. Bathroom 2 is an en suite bathroom, bath with shower. W/C. Additional Pool Features: Pool Shower, Poolside Dining Area and Pergola. There is also a Barbecue. We were impressed with the communications and service from the team, cleanliness of the villa, maintenance of the pool, and our overall experience.Great stay--thanks for everything! The villa was fantastic, clean and comfortable with great facilities (swimming pool, table tennis, pool table and playing cards!). A few basics would have been useful (salt, pepper, cooking oil). But they were cheap enough to buy. The key safe worked perfectly, so two families could access the villa separately, and the alarm gave us piece of mind. Iâ€™d definitely recommend the villa, its location was good and set in peaceful surroundings with great beach access. 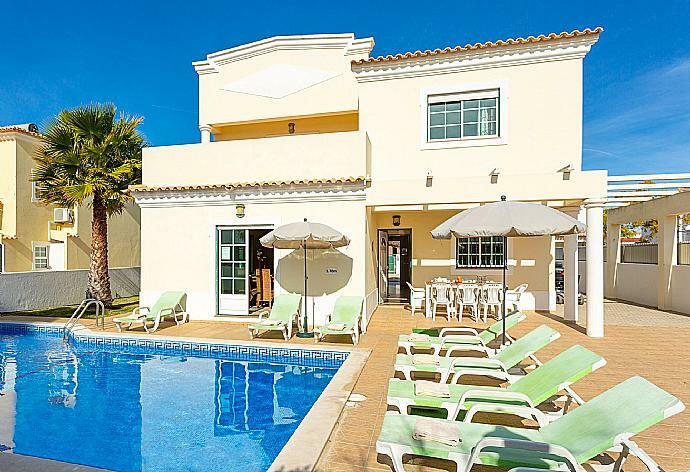 We really enjoyed the villa -plenty of space, good kitchen appliances and the pool and outdoor facilities (pool table/ping pong/sunloungers) were excellent. Great location with good local restaurants and lovely beaches. The booking facility was excellent from Agni travel-very easy ,clear and responsive and so was the service when we were there. Would use Agni travel again -thank you! Good Holiday. Would recommend the Villa and cleaning was excellent. Lovely holiday in this lovely villa. The instructions for finding the villa and the keys were straightforward. We liked the villa and location and would return. Villa perfectly suited our needs in terms of space, location and facilities. The pool and BBQ outside were great and the alarm and multiple lock ups made the place feel very safe. It's worth knowing beforehand that the basic kitchen provisions like salt, pepper, oil, washing powder etc are not provided. Thanks for the stay. All in all we loved the villa the pool was amazing and so clean. We had a few minor issues and the team responded very quickly within the hour they were excellent. Would consider to come back. The villa had everything we needed and was in a quiet location (which we wanted). Had a wonderful holiday at Villa Coelho The villa is wonderful and clean. The pool area is very private and enjoyable. Outdoor pool table was an added bonus. Close to the beach and only a few euro from Albufeira in a taxi. I couldn't fault the staff at all. They are all superb. From communication via text and email before we arrived answering any questions we had. To Eduardo being helpful when we had any issues. To Beverly kindly helping us with an area to keep our luggage and arranging transfers Superb. Would definitely revisit. All I can say is excellent family holiday. Could not fault our stay at this villa or the company. Thank you to everyone that helped us decide, book and check on us whilst in Algarve. The villa is simple and effective, loved everything that was available outside including the dining table and the seat under the tree. The villa itself was very spacious and felt homely and not clinical or cold. The kitchen was well equipped and we did use everything including the washing machine ( great to have when you are only taking hand luggage). Albufeira is one of the prettiest coastal towns of the Algarve. 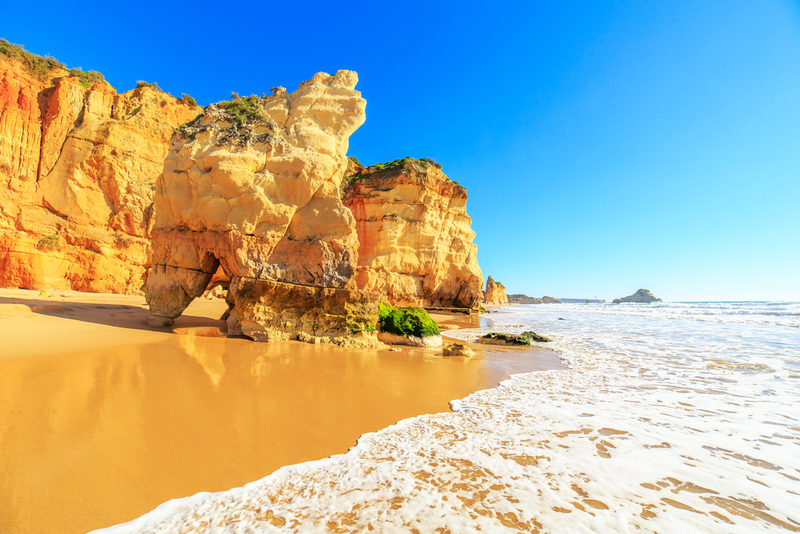 Located in the district of Faro, Albufeira was once a moorish fortress and fishing village, but has been brought into the 21st century as a thriving travel destination without losing its historical charm. The surrounding coast is rich in sheltered sandy bays with turquoise clear water, ideal for sunbathing, swimming and snorkelling. In the daytime, you can explore the ancient caves, accessible by boat, where you can even find some of the local sea life. During the evening, Albufeira is the perfect location for vibrant nightlife along with its many restaurants and bars. If you require a cot and high chair, there is a charge of 25 Euros per week for each item. If you require either, please request in advance with our customer care team. 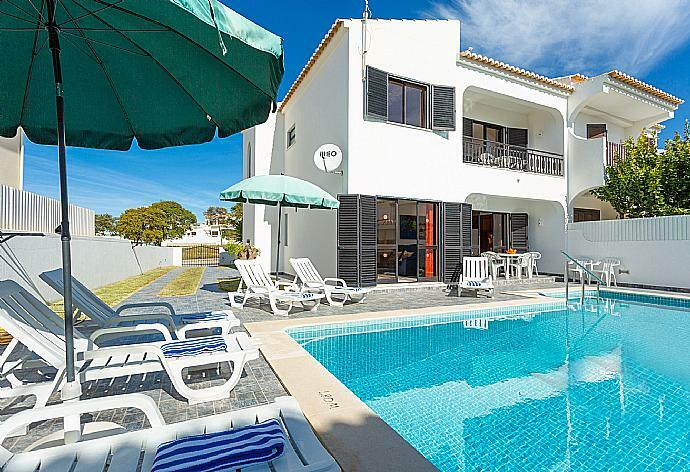 Villa Coelho was booked 4 days ago!